With the huge choice Britain has to make in the referendum over EU membership, we stand at one of history’s major gateways. Whether through some double-bluff or a sheer miscalculation from the Conservatives, who promised a referendum seemingly to placate Eurosceptics among their own supporters, a rare opportunity has opened up where the population itself might direct events. People must decide whether this ancient nation will be stronger by firmly accepting its role as part of a federal superstate in which sovereignty is willingly sacrificed for perceived wider benefits, or by pulling away to stand alone and build itself anew on its own merits. The enormity of this decision requires that everyone should use their vote. The democratic process may be in desperate need of reform, but it is still a democratic process of some kind. Fears that the result might be rigged are legitimate, given some of the electoral irregularities Britain has seen in recent years (largely ignored by the mainstream media), especially if the vote is close – but a significant swing towards one side would be harder to falsify. A firm result would be the best scenario for the country’s future, hard though it might be for those left in the minority. But that is democracy. Given the weight of this historical moment, the campaigns of ‘remain’ or ‘leave’ (‘Brexit’) have, however, thus far been disappointing in their lack of clarity, focusing on fear and failing to illuminate the deeper issues. Supporters on either side threaten economic and cultural Armageddon if their warnings are unheeded. One side simply stating the opposite to the other does not help those who remain unresolved as to how to vote. This article might help find a way through the polarisation. This is not a biased polemic to persuade readers either way, but instead offers ideas on how we might reach beyond the head-spinning surface arguments, understand some of the deeper cultural dilemmas and identify more clearly what we really want. For those interested in a more detailed discussion of the key elements firing the polarisation, a sister piece is available at http://truthagenda.org/2016/05/23/new-article-eu-or-not-eu-reasoning-the-issues, where I do submit my own personal view on the EU vote, but the aim here is to encourage a more positive outcome whichever way the vote goes and to help find a clearer inner voice to direct our decision. We are currently being bombarded with partisan arguments from both directions, which I will leave aside for the other article, assuming here that most people are aware of the basics. There are plainly pros and cons on both sides and no absolute guarantee of a safe future whichever way we go. The democratically-challenged EU may offer more financial benefits and global political stability in the long run, or it may not. 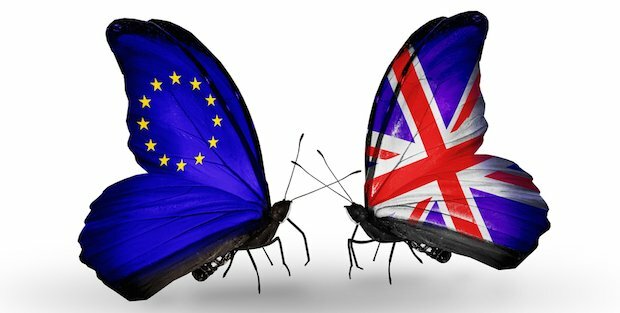 Those fighting for ‘Brexit’ may turn out to be reliable leaders who will lead Britain into a new golden age of power and prosperity or we may be left at the mercy of compromised figures with no outside force to modify them and an ailing economy. Some people, confused by all the debates and unable to tune into their real thoughts on the EU find themselves feeling disempowered and divided. But the head-spin that results from such heavily polarised debate may be avoidable. There may be a way of getting closer to knowing which way to go – by putting the technical arguments to the back of the hotplate and voting instead with the inner voice. It is sometimes said that on an inner level we already know what we want long before we make a final decision on something, but that we then bring in the ‘head’ to get in the way, because that is what we are trained to do in our modern rational society. Our habit of superimposing ‘reasoning’ on what the heart already knows to be the way forward pulls apart that certainty and subjects it to interrogation, which can leave us muddled and torn. The gulf between our heads and hearts is often huge in Western societies – yet the heart, and/or the ‘gut’, so often turns out to be right. Even science is beginning to understand that these parts of our bodies have valid responses of their own, separate from the brain, and that evolution has gifted us these sometimes more immediate instincts. The problem is that we are taught not to trust them. 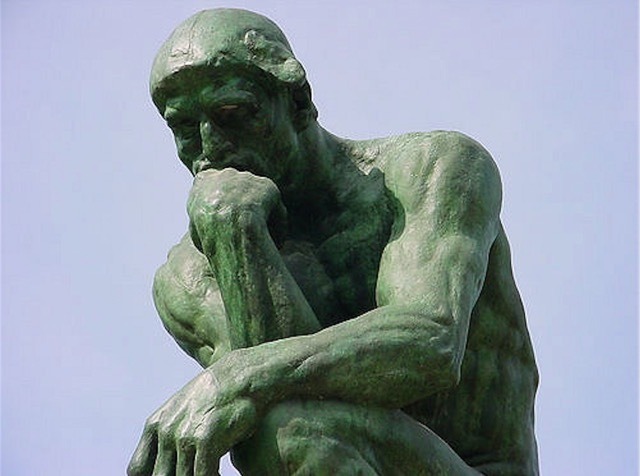 I am not advocating a rejection of reason or rationality, which must always be applied where appropriate, and actively engaging in thinking analysis on both sides of the debate is a must here – but the heart may hold the balance if the intellectual arguments are not resolving matters. 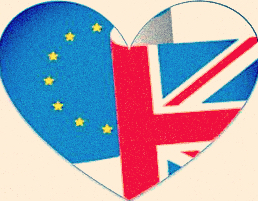 How, then, should we apply this more heart-centred approach to help cut through the bombardment of propaganda from both sides of the EU debate? One dilemma felt keenly by certain waverers is that their heads say that being bound into a collective force should in theory make us stronger and more resilient, but this then conflicts with observing some of the deficiencies of the system we are being asked to commit to, and, more fundamentally, sits uncomfortably with very deep-seated cultural beliefs born from a long history of independence. Ultimately, the decision before us is whether to take many centuries’ development of democratic political and social systems and a general evolution of consciousness within largely one island, often forged by standing separately from the European mainland (as with the English Reformation of the 1500s), and merge it firmly together with a wider and less democratic collective formed from quite a different history. The chains of serfdom were abandoned in Britain long ago but persisted in Europe for longer, and this has created a different mindset as to how populations are ruled. The British do have things in common with the Europeans, of course, not least the close gene pools and cultural links from the settlements and invasions which took place during and just after the first millennia AD, but the long psychological separation is not something that can simply be squashed back together again without due consideration of some more profound elements. People may not be consciously aware of their history or creation myths, but they carry both deep within their psyche. To understand why some people are struggling with the EU decision, unsure of whether to create a very different chapter of history by leaping off from the known riverbank into swirling currents of a wider nature with many other tributaries, it might be worth a brief consideration of some of the legends which underpin the British psyche. Albion is one of the ancient names for Britain, and has its roots in Greek myth. The most common version of this foundation story states that Albion was a son of Neptune, a giant who sailed to an undiscovered island and ruled there, before being killed by Heracles. The land was thereafter named in Albion’s honour and inhabited by his giant descendants until about 1100 BC, when Brutus of Troy (himself said to be a direct descendant of Zeus), directed by the goddess Diana to create a ‘second Troy’ in Albion, arrived and defeated the last of the giants. The arrival of Brutus is seen by some historians to symbolise the first civilising of the nation, at the dawn of the Iron Age. The wide belief, especially in medieval times, that Diana intended Brutus to found a ‘second Troy’ that would lead the world’s peoples could be interpreted as one of the propulsions that would eventually inspire the British Empire, which reached further around the world than any before it, albeit through often dubious means. To some founding colonialists, the Albion myth meant that it was always Britain’s destiny – and indeed duty – to ‘kill giants’ and rule the world. 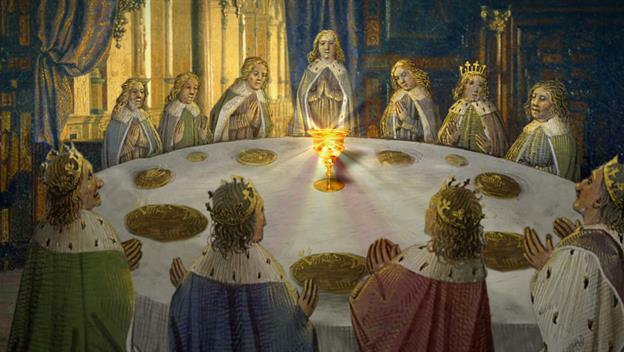 This myth, as with the later Arthurian stories and tales of Christ’s grail residing in the British Isles, reinforces a deep subliminal national belief that the British – often specifically the English – are a ‘chosen’ race, entrusted by the gods, or God, to protect sacred truths and project them into the world. Although it is rarely stated nor even consciously remembered by most of its citizens today, this belief underpins many of the foundations of the British establishment, albeit in different forms. In the seventeenth century it was widely believed by zealous republicans such as Oliver Cromwell that Britain was intended to continue the mission of the Israelites, as the new chosen race. This entrenched sense of being special, however self-justifyingly over-inflated and embarrassingly antiquated it may now appear, is still very much there on a subconscious level. The later centuries of building Britain’s renowned status as the ‘mother of democracy’, through much bloodshed and toil, is another background meme that cannot be easily shrugged off overnight. Subsuming ourselves into a homogenised governing system rooted in a different history and attempting to meld very individual cultures into one people is asking much of an island nation like ours which has long successfully stood in its own right. On the other hand, collectivism has often looked to academics like the long-term future, and some believe it is time to accept our own history as being merely the stepping stone to something more mature and less parochial where other individual strands of development are bound together at last in an apparently sensible union. The inner conflict between the myths and history that have birthed us and the ideals that we feel we ought aspire to in a modern world may explain why some people are struggling to make a decision based on modern analysis alone. The deep discomfort in Britain at the idea of giving up much of our power to an outside force, even among some sympathetic towards the higher EU aspirations, has emotional and cultural roots that need to be acknowledged. In this regard, hardline Europhiles are swimming against a substantial tide. Our heads might be persuaded that we may be safer, wealthier and stronger in the long run – perhaps – by throwing in our lot with a wider collective, but the deep swell of history and legend makes us hesitate. Are we ready to make such a profound leap? If all the polarised arguments are not securing a firm decision, it may be that what the gut has to say is going to be more important in influencing the vote we make on 23rd June. Those who have ever gone against their gut or heart know that this always creates long-term psychological and social consequences. This will be true for Britain as a whole if we don’t follow our instincts. We must therefore tune in very carefully to our feelings here. For those putting economics forward as the primary concern, we must also note that people who stay in relationships primarily for money are almost never happy – and things often disintegrate in the end anyway. Sitting in security and perceived domestic certainty while forlornly mourning a loss of freedom and happiness is rarely a recipe for success. There can be no guarantee that either Europe, with a shaky currency and many pending serious issues, or Britain on its own, which will have an economy to rebuild, will remain stable and secure. Years of uncertainty may lie ahead whichever way we go, but feeling free and unfettered may help us endure any temporary setbacks. We must decide in which direction lies more freedom, then. Which path would we rather find ourselves on, according to our hearts? The fact is that if we do choose to stay in the EU, hard though it might be for doubters to swallow, we will surely need to commit 100% to the federal dream and make sure Britain has a strong voice within it, or we will live in psychosis and doubt for centuries to come. Something else might trigger an EU break-up further down the line, of course, or perhaps demand a new referendum whatever the once-in-a-lifetimers might say, but this is not something that can be relied on or planned for by Brexit supporters. If we choose to stay in, it must be hoped that a real vision of successful togetherness can be forged and that democratic reform can be encouraged. At the very least, for those who will still cling to the importance of our place within such a system, we will have to at least attempt, with genuine commitment, to keep Britain influential within it and make the EU work for us as much as possible given its nature. So we need to ask ourselves – can we do this? Can we bring ourselves to believe totally and utterly in the European dream? Can we dispense overnight with centuries of trying to be free of European control and never look back? Your heart or gut response to the above last questions will probably give you the answer you need as to which way to vote. If a certain amount of wise reasoning and analysis has been made and we still find ourselves torn, we must look ever deeper inside and try to put aside the chatter and dilemmas of the brain implanted by the media circus. There, for many of us, the solution will lie. There may be a generational divide in what one finds inside. Younger voters, brought up in an educational system greatly influenced by the EU’s presence and pro-EU background initiatives like ‘Common Purpose’ may feel safer with what they know. If so, should the vote go their way, then the hope must be that those souls will come to aspire to the Utopian dream that the EU ought to be, and try to filter out its more coercive and undemocratic functions. If we do find ourselves firmly within an EU-based future, hope for change within it may still persist; several other countries are expressing concern at the system’s less admirable qualities and widening calls for sensible reform may yet see a rebuilt EU, founded on real principles of freedom. If self-belief lies in our hearts, however, we might find inside the determination and spark to face an initial period of economical uncertainty and take back powers that were once ours and use them to create a new independent incarnation of Britain that could set an example to the globe, standing alone and yet not being divided from our European neighbours or international friends. True British patriotism is not the Jingoistic foolishness of racism and fear but the desire to fulfil the purer vision of the Brutus myth, standing tall and proud in the world – hopefully this time without the warped ambitions that created our first empire. Much has changed since then, and other superpowers have arisen which will face their own epiphanies in time. We cannot and should not try to compete with them, but instead forge a special place within the scheme of things that uses our best qualities and makes them available for those who still respect the long history our nation possesses. Little Britain could find greatness again in other ways. Whatever transpires after the vote on 23rd June, things may never be quite the same again, here or even elsewhere. If the nation votes ‘leave’ a resultant domino effect could change Europe irrevocably anyway (one of the reasons the EU so fears a Brexit). This is a real nexus point and we should not underestimate its magnitude. Clear your mind, have your say and use your vote. A little recrimination, political division and uncertainty is bound to follow either result, but with optimism and a real determination to maintain true democracy and freedom at all times, in whatever system we find ourselves, we will have to make the best of it. Somehow, we will all survive. Good luck everyone.